WWF International has released a briefing on “the blue economy,” a term becoming commonly used in economics, agriculture, and conservation contexts. 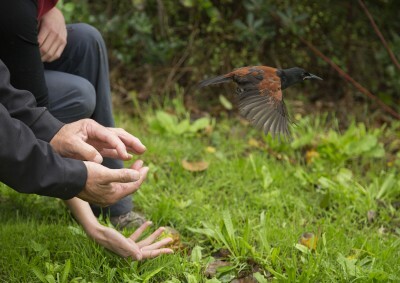 The Supporters of Tiritiri Matangi have revealed the winners of its annual photography competition. The stunning images – in fauna, landscape, people and junior categories – can be viewed online and will feature in the society’s 2016 calendar. Minister for Primary Industries Nathan Guy has announced an operational review of the Fisheries Management System. 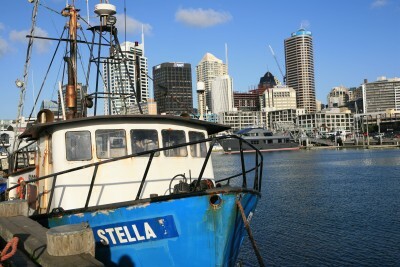 He said it was necessary to ensure that New Zealand’s fishing system is up to date and working fairly and efficiently, noting that it had been 19 years since the Fisheries Act was passed. Nathan Guy said review would seek to strengthen public confidence and foster community support by providing opportunities for involvement in local area management. 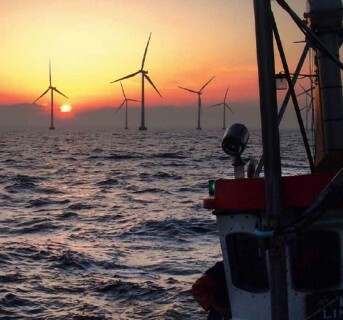 It would not undermine existing rights and interests of commercial, customary and recreational fishers, Treaty settlements or core elements of the Quota Management System. He said the review would be high-level, not intending to touch on the detail of things like recreational fishers’ bag limits or fishing quotas. The Ministry is currently seeking views on the strengths and weaknesses of the current system from stakeholder organisations and will determine next steps after considering feedback. The announcement was made in a speech to the 2015 New Zealand Seafood Industry Conference on 19 August. 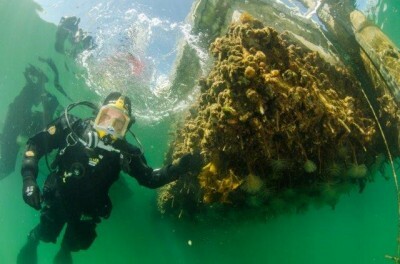 The results of a Waiheke Marine Protection Survey have been released by the local board. It shows support for a network of marine protected areas across a substantial proportion of the marine environment around the inner Hauraki Gulf islands. The survey was undertaken by Colmar Brunton, with around 2000 questionnaires returned. Responses regarding location were relatively spread out with no one specific area in the local board area receiving high or low levels of support as a marine reserve. 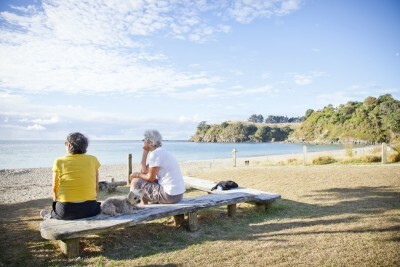 “The survey will assist our community to move forward and consider how to best address marine protection,” said Waiheke Local Board Chair Paul Walden. 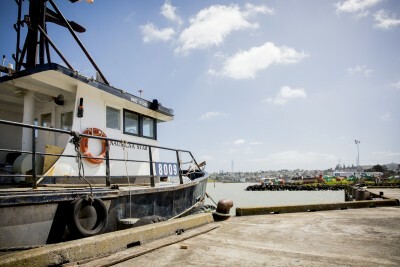 The survey of marine invasive pests in the Waitemata harbour carried out by the Ministry for Primary Industries (MPI) in June has found no new-to-NZ or new-to-Auckland arrivals. However an ascidian recorded for the first time at the Devonport Naval Base in January has now been detected at the Devonport ferry terminal. The Mediterranean fanworm and Asian paddle crab are in very high densities throughout the harbour and other species present include Asian date mussel, sea squirt, Japanese seaweed and the clubbed tunicate. “It’s a wake-up call to keep vessel hulls clean and prevent the spread of pests between areas,” says MPI marine surveillance and incursion senior advisor Tim Riding. The report found that commercial fishers caught 144 tonnes of undersized snapper in the Snapper 1 area – about 3% of the total commercial catch – in the year ending February 2015. Inshore Fisheries Manager Steve Halley said the level of catch did not create a sustainability concern for the fishery, but there were benefits from reducing such mortality. Understanding the impacts of catching and releasing undersize snapper is being considered by the SNA1 Strategy Group, which will release its report on the future management of snapper later this year. 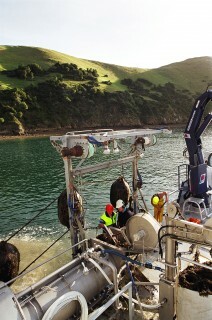 New Space Regional Aquaculture Agreements have been signed with iwi in three regions, including those from Auckland. Minister for Primary Industries Nathan Guy said the agreements would help cement the partnership between the Crown and iwi and increase iwi participation and share in New Zealand aquaculture, which contributes 20 per cent of total fisheries production and 15 per cent of revenue. The agreements are the result of the Māori Commercial Aquaculture Claims Settlement Act 2004, which requires the Crown to provide iwi aquaculture organisations with 20 percent of new commercial aquaculture space consented since October 2011, or anticipated to occur into the future. “Through these agreements Māori will have the opportunity to be involved in aquaculture wherever it occurs in New Zealand,” Nathan Guy said. 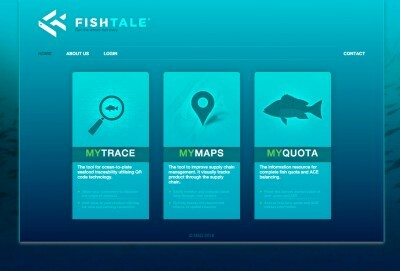 A new tool called FishTale is promising fishers and consumers a better way to manage and communicate the value of their catch. A mobile application enables commercial fishers to record information about their catch in real time and offer it to market before it is landed. Consumers and chefs can also trace where, when and by whom fish was caught, helping build connections with the fisher. FishTail promises to build credibility, manage and add value to seafood brands and fishing companies, says developer Mark Soboil. Black petrels are due back in the Gulf over the next month and the commercial long-line fleet are trained and ready. Each of the 55 commercial boats fishing around the Gulf has a trained ‘seabird smart’ skipper, a seabird management plan and mitigation devices on-board. Black petrels are superb divers and can get hooked if they can see and reach baits. They spend winter off South America and around 2000 pairs come home each year to breed on Great Barrier Island, and a smaller satellite colony on Hauturu/ Little Barrier. A series of events is planned to mark the return of migratory seabirds and spread the word about how we can look after them while they’re here. Living Water – a partnership between Fonterra and the Department of Conservation – has developed a three year plan for work in the Pūkorokoro /Miranda area. 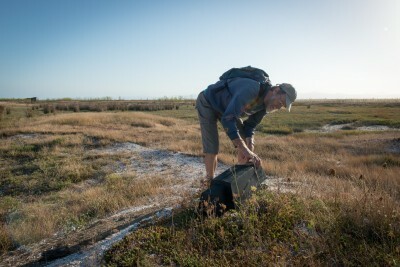 The project will focus on protecting, enhancing and expanding shorebird habitat, including high tide roosting habitat and salt marsh, and managing weeds and predators; supporting advocacy to protect international flyway sites and showcasing examples of best practice sustainable dairy farming. Ngāti Pāoa, the Pūkorokoro /Miranda Naturalist Trust and local educational programmes will receive support. Pūkorokoro /Miranda is part of the Tīkapa Moana / Firth of Thames Ramsar site, an 8,500 hectare wetland of international importance. It provides important high tide roosts for nine shorebird species and habitat for a range of rare and threatened plant and animal species. Ten Fonterra farms are in the catchment, six adjacent to the shore bird habitat area. Farmers will receive support to adopt practices which improve water quality and enhance biodiversity. Four islands of the inner Hauraki Gulf/Tīkapa Moana have been returned to their original owners, a significant milestone in the settlement of treaty claims in Tāmaki Makaurau. Rangitoto, Motutapu, Motuihe and Tiritiri Matangi were transferred to the Tupuna Taonga Trust that represents the 13 iwi of Tāmaki Makaurau for 31 days on 29 August 2015. 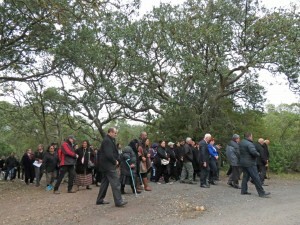 A well attended ceremony was held on Rangitoto to acknowledge the deep spiritual connection of Ngā Mana Whenua o Tāmaki Makaurau with the islands and the terms of a new and positive relationship with the Crown for their future management. Many iwi representatives have been able to visit the islands for the first time assisted by the Department of Conservation. At the end of September the islands are to be vested back to the Crown for the benefit of all people of Aotearoa. Through the generosity of the iwi there is no change to public access or management arrangements during and after the vesting and vest back. A Conservation Management Plan for Rangitoto, Motutapu, Motuihe and Motukorea (Browns Island) will be developed to enable iwi to have ongoing involvement in the governance and management of these islands. The Department of Conservation will undertake public and stakeholder consultation on the plan over the next year. Three areas on Rangitoto will remain in the permanent ownership of the Tupuna Taonga Trust including the summit of Rangitoto (to be named Ngā Pona-Toru-a-Peretā) and two sites at Islington Bay associated with historical waka moorings. The Gulf’s most significant nature reserve is marking its 120th anniversary this month but its history is a chequered one, particularly for Ngāti Manuhiri. Little Barrier Island was declared a nature reserve on 26 September 1895, New Zealand’s first such sanctuary. However the island was appropriated a year earlier. With much of the Northland coast cleared of kauri the Government of the day established the Little Barrier Purchase Act to force the sale of Te Hauturu- ō-Toi from its Māori owners. This history is acknowledged in the Ngāti Manuhiri Claims Settlement Act 2012. The Crown issued a formal apology for these and other historical actions which left the tribe virtually landless. The settlement recognised Ngāti Manuhiri as mana whenua and kaitiaki of Hauturu, vesting 1.4ha into its ownership to re-erect their original marae and dwellings, left burnt and ransacked after the eviction. 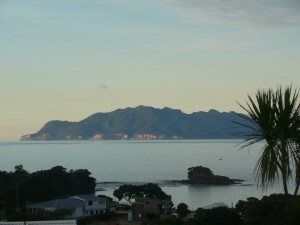 The island was placed under the guardianship of Ngāti Manuhiri for seven days then gifted to the people of New Zealand. Today Te Hauturu- ō-Toi/Little Barrier is managed by the Department of Conservation as a nature reserve, according to Ngāti Manuhiri values, protection principles and agreed actions. The island has one of the highest levels of fauna species diversity for forest habitat in New Zealand and is a taonga of international significance. 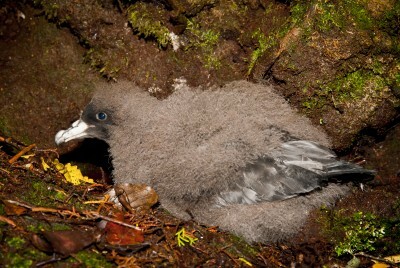 Conservation work is assisted by the Little Barrier Island (Hauturu) Supporters’ Trust.